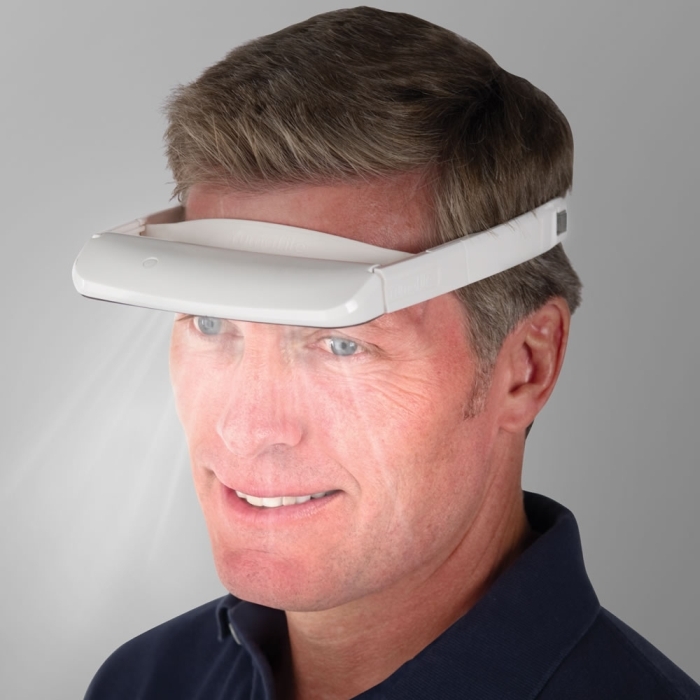 This is the visor that provides therapeutic light to counteract the effects of fatigue, jet lag, and Seasonal Affective Disorder (SAD). Unlike static devices that require one stare into a lamp, this lightweight, portable unit is worn on the head, enabling use anywhere. Its three white and three red LEDs emit 800 and 80 lux respectively, providing daylight spectrum light in the amount recommended by the National Institute of Health. This light therapy blocks the release of the sleep hormone melatonin, clinically proven to result in increased energy and alertness. Optimal when worn for 20-30 minutes in the morning, you can alternate between white and red light therapy (equally effective) with a press of a button.